Blogging is getting great exposure in India and many other countries. It’s getting great exposure in print media and blogs like ShoutMeLoud shows the right path of monetizing it and shows the reality of money and Blogging. Though, one most common question which you will hear from people: What’s the right time to start a Blog? And honestly, there is no right or wrong time. Any 10 year old with good writing skills can start a Blog and someone who is retired at his 50’s and sitting at home and can start a Blog. In this article, I will focus more on Why engineering students should Blog and why it’s the best time to have a Blog when you are in college days. Reason why I haven’t used Students in total but Engineering students here is because Blogging requires technical skills. There is no second thought about it and when you are in a Technical college, you can look out for support from your peer group. And if you have excellent entrepreneurship skills, you can start a company right from college. Since, it’s easy to find people who can contribute and help promotion. More over, at school and college level, your creativity is out of the box and don’t you think it’s always out of the box thinking which can take you from Bottom to top. You all know very well about what is blogging and if not, check out Blogging archive of ShoutMeLoud. From many bloggers it proved that blogging can be done at professional level and it can give you all those benefits which you suppose to get from a job. This article is exploring most of the possible reasons about the motivation of engineering students Bloggers. 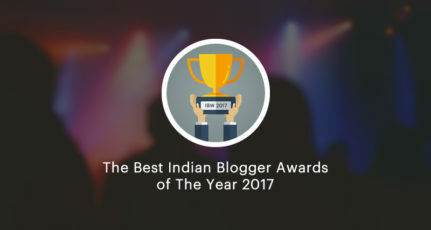 In India we have a long list of top successful bloggers which no doubt from engineering stream. Even we know very well that the owner of this blog Harsh Agrawal is also an engineer by education. Also one of the top and first Indian professional blogger Amit Agrawal (labnol.org) is also an IIT pass out Engineer. Saying, that I don’t mean that people from other field doesn’t do great, but having an engineering background helps in many tech know how. And especially, it’s easier to start a niche blog on Technology because it’s a broad niche and you can pick anything from Security, software, Gaming, Gadgets and many other topic, which an engineering student is comfortable with. In the same way if we consider most of the successful bloggers then we come to know that most of them are engineers by education. Then a thought came in my mind why this coincidence every time? 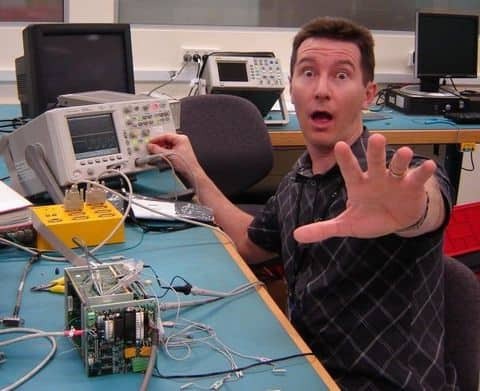 Are today’s engineering student Bloggers are motivated because of these all successful pro bloggers? When I’m talking about engineers should have a Blog, it means not a personal blog but a profitable blog with perfect Blog business plan. Lets do a calculation and lets imagine you know what is Blogging and how to start a Blog. You created a blog in 1st or 2nd year of Blogging and every month you write 10 articles. Now, lets expect you are using Adsense to monetize your blog and can you imagine how much money a blog with proper Blog business plan can make in 4 year time. More over, when yo graduate, you will have a passive income and you will be in condition to decide if you want to be your own boss or you need to work for some one else. Sounds like a dream, but believe me it’s not tough. Remember, ShoutMeLoud income report, this blog started making whopping 5000$ in 1.6 year term and if one blog can do this much, why not we? When I was a child, my money requirement was less but it was there. When I went to school it increased and now I’m in college and it has increased more. My phone bills are getting higher, I spend more on cafeteria, in nutshell my money requirement graph is increasing with time. Are you looking for some part time job, to pay some of your bills? Why not, start a Blog which makes money for you now and will continue making in future. There is no denying the fact, money will not start following from day one and that’s why I started passion as first topic here. Money from your Blogging work might take some time (4-5 months), but instead of not working at all, don’t you feel it’s a good idea to create your own money making system. Blogging and College: How to maintain Balance? 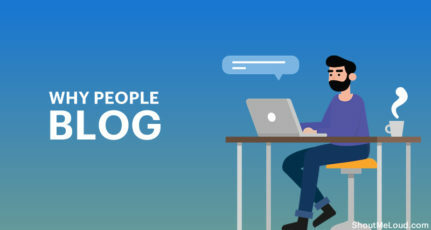 More over, Blogging is not related to writing articles only, if you are good with creating Websites, php or designing, you can create such niche websites and get some freelancing work. If you are not have enough confidence to start a Blog right away, do some freelancing work and with time requirement for quality article writers are increasing. You can make good 2-20$/article and that’s a handsome income when you are studying and it’s just your part time income. Now, getting back to most important point and that is career and job. By the time, you are in final year of your college most important thing in your life will be placement and working for a reputed company. And trust me, Job stress is really bad, you might find people who get into depression for not getting a Job. Having a blog by that time which is making decent 200-400$ month will give you peace of mind and you will be in a condition to take risk. Though, it’s always a good idea to work for any Professional company for some time to learn corporate know how and how things work in real world. But, on the backend having a Blog will give you recurring income and you can take the risk of leaving your job anytime. Most of the people, who learned about Blogging and how it makes money when they are working and if you ask how many of them in a condition to take the risk of leaving their job for starting a blog from ground level, you will find very few. When Harsh Agrawal left his job for Blogging, he was making decent 700-800$/month (recurring) and it’s good enough for anyone to leave his job and work full time. Needless, to say what ever money you made from your blog in college days is because of your part time work and how great it would be if it become your full time job? The numbers of engineering colleges are increasing day by day so the admission to it is becoming easy. This resulted in large number of students are being passed out per year from all engineering faculty. The demand for engineering students has been increased over time but students passing out with Engineering degree has increased a lot over time. It’s not the same and easy to have a technical degree and you will get job instantly. Most of Engineers I know, land into call center in search of job and ended up being a part of it and lose all the value of degree they earned after 4 years of hard work. So the student like me will always think to create a thing for bread and butter (blog) during studying so that even I can afford a low salary job. So this is one of the strong reasons about engineers moving towards blogging. There are many bloggers success story already live on the internet and more such success stories are created every day. Even my experience is that I started a BlogSpot blog just to share my photos with friends and family and I really felt proud that I have a website. After that I read some professional blogger success stories like ShoutMeLoud (Harsh), Labnol (Amit Agarwal) etc… Then I started a tech blog. So we can say that most of the engineers are got their motivation either from their friend who are in engineering field and doing blogging or from online blogger’s success stories. You can also set a standard in your college or school and be a role model for everyone. Who doesn’t like a person who is making 200-500$/month from his own Blogging work in college days. You will be an eye-candy among your peer group and a role model for generation after you. I must say this one will one more valid point about this ongoing discussion. Because I know an example of my friend who are studying in computer engineering in Mumbai University and he has web designing subjects in his engineering syllabus. By different practices and project on php, CSS, MySql he is now able to create a better website. So this passion moves in blogging and now he is sharing web designing tricks on his website. In this way as a part of academics syllabus the he got inspired about blogging. 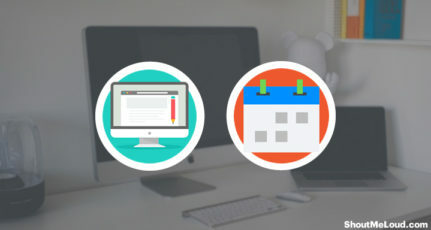 Even if don’t consider Web designing and stuff, talking about Self Hosted WordPress blog, you need to have little bit knowledge about Tech stuff. Specially, Hosting and SEO. You need to learn SEO which is very crucial for any blog and if you are going to use WordPress having little bit of information about FTP and Database will give extra advantage. The list will keep going on but in nutshell Blogging has come out as an excellent career opportunity for everyone who wants to make money by sitting from home. But by adding business skills into your blog, you can create a Blogging company and especially in India, where Blogging is not recognized as a Professional career opportunity for now, you can set a landmark for next generation. If you go on expanding this list sure it will not going to end on this page. So these are the main reasons which I feel about engineering students like me to start blogging as a part time carrier. If you are a student Blogger and have an experience of maintaining a quality blog along with your studies, I would love to know your opinion on How Blogging helped you to grow? Tushar is MU Engineering student and interested in electronics and computers. He is blogging at xtendedview(How to Tech) as a part time blogger. I think anyone can be a good blogger with little technical knowledge required, but people are far away from reality now also. Public thinks that you need good technical skills to set up a blog and earn. I started blogging before my engineering started and slowly-slowly i learnt everything by doing mistakes, but now i think there is no connection between Engineering and blogging, but engineers are used to subjects like Web-Designing, Servers, etc, the main reason people think they can’t. You’r article is awesome but i disagree with the Title – “Every Student” should try blogging. That’s Kind of “Feel Proud” for Engineers.. Having Technical Knowledge does signify the Blogging Career and hence engineers make the Most of it. But I think there are Many other People who are Not Engineers still they are doing good in the blogosphere. I think it’s All Just Determination which can Bring the Most from Anything. Being an Engineer Just Makes an Advantage. This article motivates me alot even I m also an Engineering student and doing part time job on my blog. But sir I am not getting traffic from google as my blog have quality contents, latest articles etc. Great article, I am an I.T. student and taking my blogging work seriously and looking my future in it. After reading this article I am pretty sure I am not the right track. i am a medical student, i dont think that blogger needs enngineering. I have two years of blogging expericence and know some web design and technique. Great Blog, I thought during student period blogging is best option to share our ideas thoughts & many more things. This time students quick learn new things & implement it. This is really a great article. I am a Computer Engineering student, now in second year. I started learning about web blog and tired to create mine and created a free website. I’m not professional blogger and writes articles when I’m free. Here I found this article very helpful so in future I also want to get a paid one. Out of many engineering schools in India apart from IITs and NITs, few engineering institutes, universities and colleges who offers quality learning. Learning is not restricted to scholastics just, “education” itself is an excursion. Really, colleges and universities ought to concentrate on aptitudes arranged learning instruction framework. First of all thank you for writing especially about Engineering students. I am mechanical engineering student with some knowledge about programming and webdesign. I am not expert at web design but I learn step by step as and when needed. Though we don’t need any in depth technical skills to start off a blog we need some basics. In engineering college library books about webdesign and all are easily available and are of great help. So that can be one of the benefits that we can add to the list.